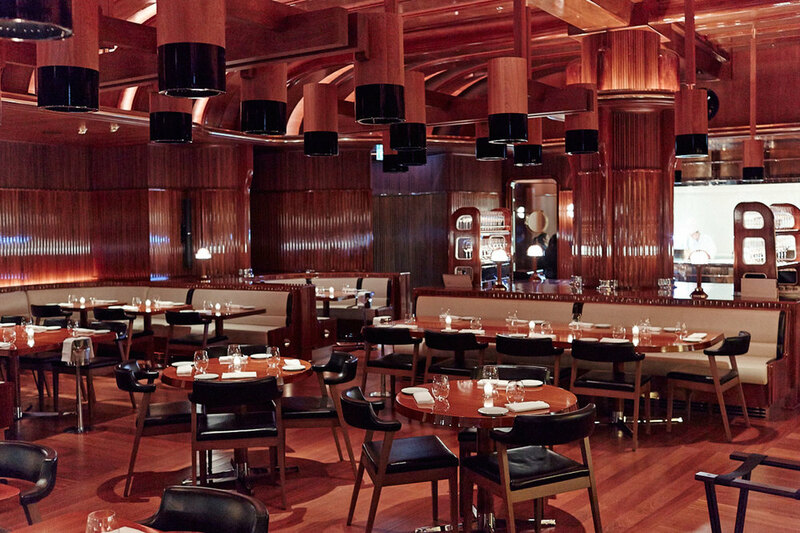 At The Stage restaurant, guests are transported to a space that is undoubtedly glamorous and completely carved down to attention of detail, allowing for a fully immersive experience. 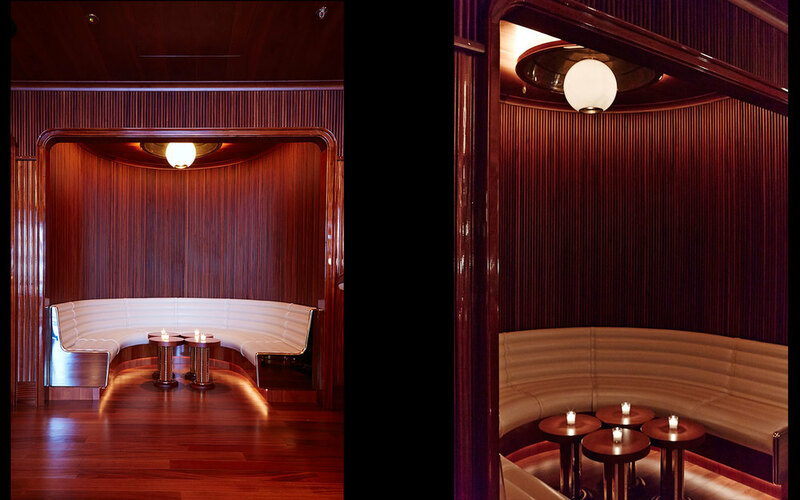 Inspired by their travels and the luxurious materials of a high end yacht, Roman and Williams clad the walls in gently undulating tambour and created the curved African Mahogany ceiling to convey a sense of being inside the belly of a boat, newly constructed and cleanly varnished. Here, the warm tones and glowing lighting reference what is glamorous and lively, that which is so well expressed in the Milan lifestyle. Guests can catch a glimpse of the galley chefs at work within the white enameled panels of the clean, open kitchen. Meanwhile, across a steel bridge or through porthole windows, there is a glimpse of Ocatvius Bar. Kitted out with curved seating in creamy leathers and refined stitching, unlacquered brass, clear glass shelving, the wood surroundings are as rich, elegant, and as comfortable as a Riva cruising the coastal Riviera. 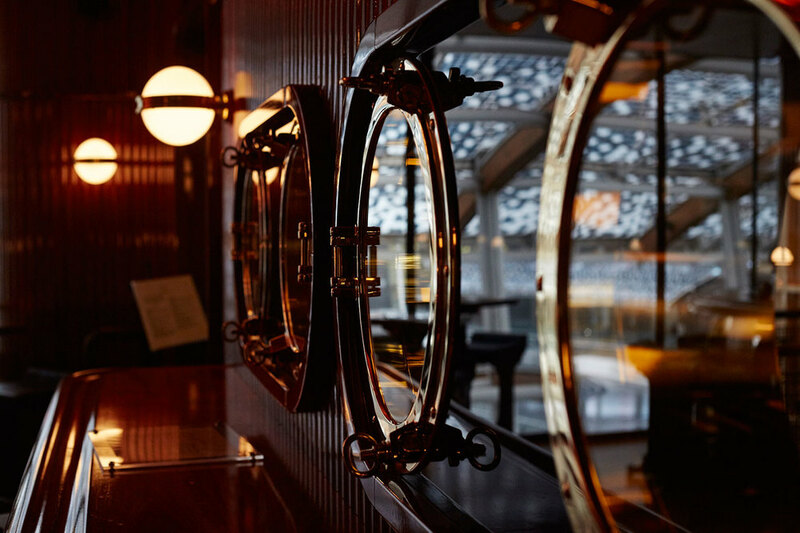 The focal point of the room is the polished stainless and brass Bar front, a vague memory of a boat prow cutting through the reflective dark waters under a starry sky.